Dizzy Wright is joined by Audio Push on "The Way We Live." 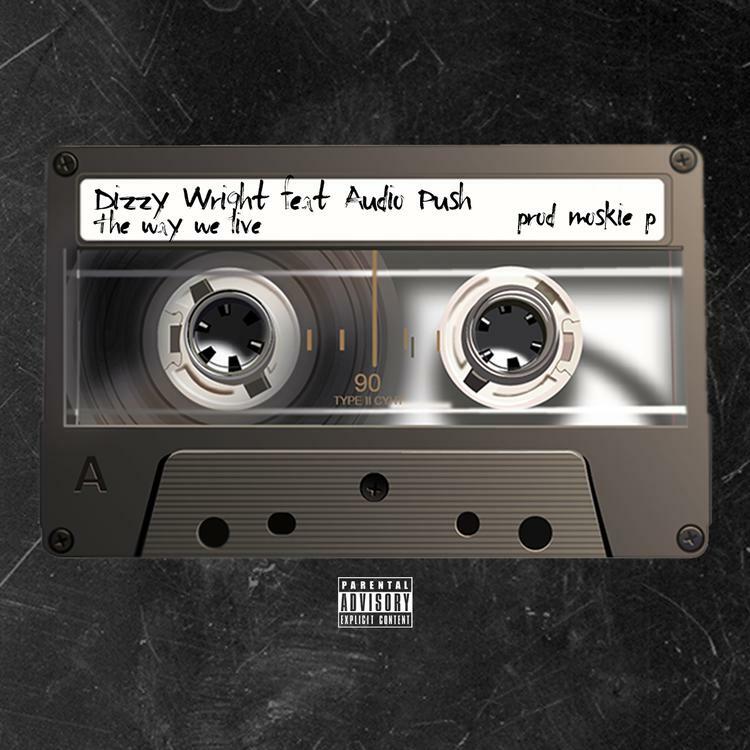 A few days ago, Dizzy Wright announced his "Still Movin" tour, perhaps an indication that he's not letting past drama with Funk Volume get him down, he's keeping it moving. Dizzy acts as the tour headliner, but he's bringing along a few special guests, including DJ Hoppa, Audio Push and Mark Battles, as well as Demrick and T Dubz. The next step, following the tour announcement: a collaboration with touring partners Audio Push. It's actually kind of surprising they haven't collaborated on wax before, given the similarities in their style and content. Nonetheless with tour tickets going on sale today, we get "The Way We Live," with production from Moskie P.
Cop your tickets for "Still Movin" here. Audio Push will be releasing their long-awaited debut album 90951, on September 23rd, which is also the first day of the tour.